Supply - West Sussex Woodburners can supply your wood burner for you and advise on the right woodburning stove for your house. We also work alongside stove shops, and can advise on where to get the right woodburner for you. 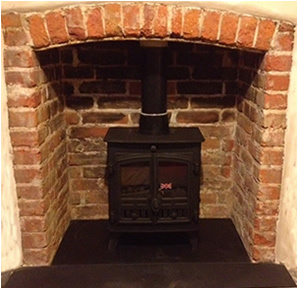 Installation - We can install your woodburner in an existing fire place or fit a woodburner using a rigid twin wall chimney. 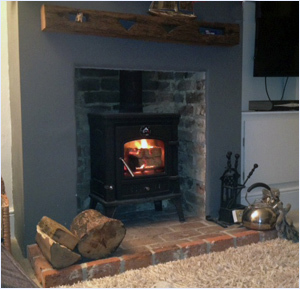 We are qualified HETAS fitters who can also install open fires to meet HETAS regulations. Building work and chimney experts - We have 20 years each of experience in the building trade. Starting as bricklayers spending a lot of time specialising in chimneys, hearth and brick oven construction, we are highly experienced installers. 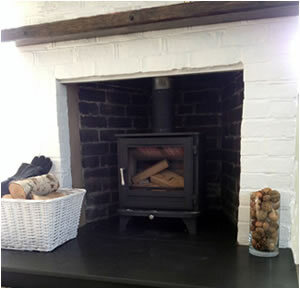 Many stoves and hearths need some building work to enable the stove or open fire installation. We can do the necessary building work.